Wow! A True "Little Cabin in the Woods"! This property you are inquiring about is located in Polk City, FL in the Country Trails area of Polk County. 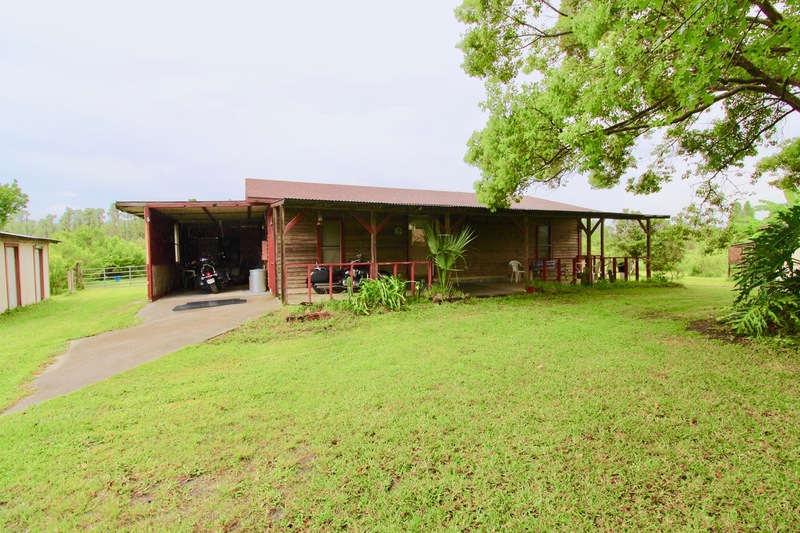 This property is situated on 4 plus acres with a Horse Barn, Fenced, 2 utility sheds, And nested in a private location that you can actually hear the birds singing. An adorable get away with 3 Bedrooms, and 1 Bathroom and approximately 1000 sqft. The horses will love this pasture! Only look at this one if you want privacy! Great property! PLEASE READ! 3348Santafetrl.Com REQUIRES CONSIDERATION FOR AND AS A CONDITION OF ALLOWING YOU ACCESS. ALL PERSONS UNDER THE AGE OF 18 ARE DENIED ACCESS TO 3348Santafetrl.Com. IF YOU ARE UNDER 18 YEARS OF AGE, IT IS UNLAWFUL FOR YOU TO VISIT, READ, OR INTERACT WITH 3348Santafetrl.Com OR ITS CONTENTS IN ANY MANNER. 3348Santafetrl.Com SPECIFICALLY DENIES ACCESS TO ANY INDIVIDUAL THAT IS COVERED BY THE CHILD ONLINE PRIVACY ACT (COPA) OF 1998. 3348Santafetrl.Com contains links to other web sites. Please note that when you click on one of these links, you are moving to another web site. We encourage you to read the privacy statements of these linked sites as their privacy policies may differ from ours. Do you have a good faith belief that your intellectual property rights have been violated by The Butler Team? Do you have a good faith belief that a third party may have uploaded content to 3348Santafetrl.Com? 1. Please describe the copyrighted material, work or other intellectual property (collectively "Material") which you believe is being infringed upon, and where on the 3348Santafetrl.Com website the Material is located.